Val James became the first African American player in the NHL when he took to the ice with the Buffalo Sabres in 1982, and in 1987 he became the first black player of any nationality to skate for the Toronto Maple Leafs. Black Ice is the untold story of a trail-blazing athlete who endured and overcame discrimination to realize his dreams and become an inspiration for future generations. 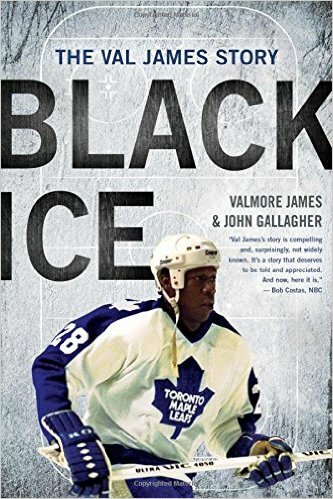 As featured in a Fox News Black History Month documentary, on NHL.com, NPR’s Morning Edition, ESPN’s Olbermann, and in Newsday, the L.A. Times, and the New York Times, Black Iceis the untold story of a trail-blazing athlete who endured and overcame discrimination to realize his dreams and become an inspiration for future generations. This edition includes a new afterword that explores James’s legacy.